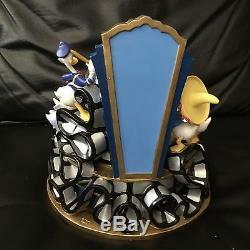 It Comes in original box. 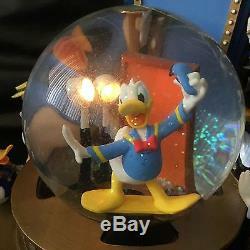 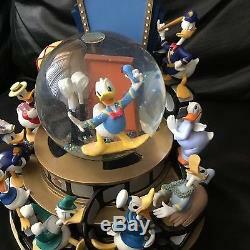 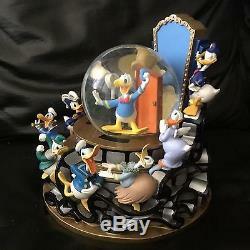 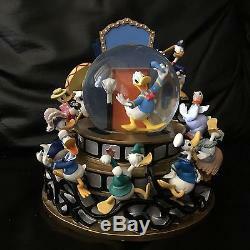 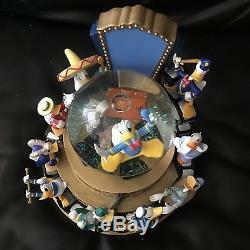 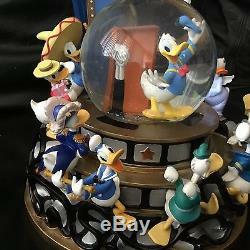 These Snowglobe is amazingly beautiful and is another piece that almost become hard to find for Disney Legendary Character Donald DUCK. 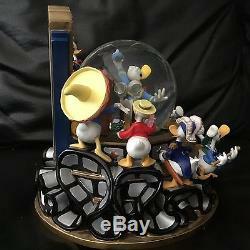 Measures 9" tall x 8 1/2" diameter. 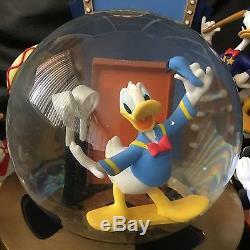 Plays " DONALD DUCK SONG " tune. 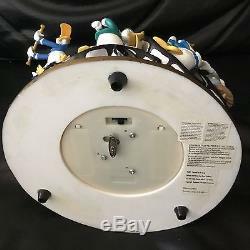 There is on and off button to turn the lights on. 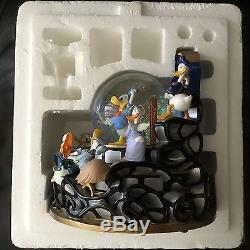 When you wind up the key while the music plays the Figurine inside the globe will gently sway front and back so adorable. 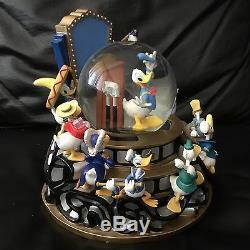 MUST HAVE for every Avid Disney Collector and Donald Duck Fans Lover.